This user-friendly tool will help you navigate the popular photography app. 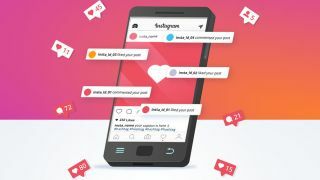 It's easy to build a brand and boost your social media following with a helper like Appz Instagram Assistant. With a Lifetime Subscription for just $39.99, you can access this Google Chrome extension that allows you to automatically like, comment and follow users and posts that are similar to yours. Using your hashtags of interest, this tool will build you a newsfeed with content you'll enjoy seeing. You'll also be able to access a user-friendly dashboard that helps you track your own activity and engagement statistics. Conveniently, you can manage multiple Instagram accounts from one single dashboard. Appz Instagram Assistant: Lifetime Subscription is yours for just $39.99.